The most popular response to the question of why managers don’t do more coaching is that they don’t have time to do it. Coaching takes time and doesn’t have a “due date.” Often coaching is too easily postponed or rescheduled to complete other time-sensitive management activities. Typically, frontline sales managers have way more than 40 hours of “work” to do each week and coaching just adds to that workload. Managers tend to get sucked into urgent tasks that aren’t necessarily the most important or strategic. Remedy: Try offloading, delegating, or pushing back on activities that aren't a top priority. Schedule time to develop and execute coaching plans and don’t let other priorities override this critically important job of developing people. Many managers were promoted to the position because they were great salespeople, but they don’t have previous management experience or aptitude to be managers. They’re often left to figure out on their own how to coach and develop their people— and that’s an expensive way to train managers. 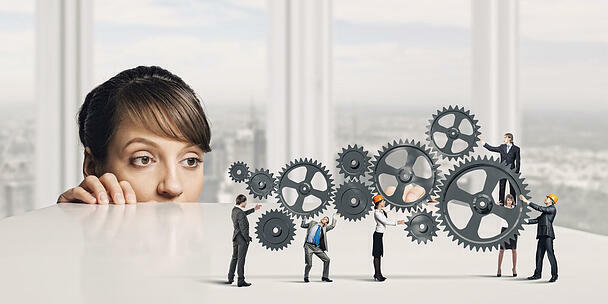 Remedy: Implement a sales specific coaching program to develop the manager’s skills around coaching. Execute the coaching activities that will improve the performance of the sales team. Managers are often reluctant to coach because there hasn’t been a clear process laid out for how to plan, execute and follow-up on coaching. The word “coaching” is used generically to mean any conversation the manager has with a direct report, as opposed to a systematic process for determining coaching priorities, observing behaviors, and engaging the participant in a meaningful coaching conversation that includes follow-up activities. Remedy: Ensure the coaching training includes a process and structure for how coaching is supposed to happen within that organization. Ensure the program includes coaching tools to support the process. We see far too many organizations that have implemented coaching training or a coaching initiative, only to see it fall flat 6-12 months after the launch. One reason is that there hasn’t been a clear expectation set regarding how often coaching will occur, and what evidence will be used to show that coaching has happened. Remedy: The most successful coaching programs in our experience are the ones where senior leadership has set clear expectations and accountability for coaching execution. This can include some form of evidence (coaching forms, field visit reports, online coaching tool, etc.) about the amount and quality of the coaching that’s occurring. Finally, a key reason managers don’t coach is that it can be a difficult skill to learn and execute. In the busy and hectic pace of sales, it can be very challenging to adopt a "coaching mindset" where the focus is on asking questions, active listening and assuming best intentions. The manager needs to spend more time listening to the individual’s response and engaging them in the solution instead of just telling them what to do differently, which will help achieve buy-in to the action plan that is co-developed with the rep. Remedy: Great coaching is a skill that can be practiced and improved. Scenarios, role-playing and case studies can be effective in learning the skills in a safe environment instead of practicing on your precious employees who have feelings, may get defensive or resist being “coached.” Once managers have practiced these skills, it becomes easier to coach in the field. Coaching is a valuable skill that every sales manager should have in their toolkit. By understanding some of the reasons why managers don’t coach, you can take measures to remedy these gaps and improve the frequency and quality of coaching within your organization.